For over 28 years, Austin-area patients, families, physicians, and professional caregivers have called on Jaron L. Winston, M.D., for his compassion and vast knowledge in the field of Geriatric Psychiatry. Dr. Winston graduated with honors from the University of Texas at Austin in 1977. He received his medical degree from the University of Texas Health Science Center in Houston in 1981. He then completed a fellowship in Community Medicine at Baylor College of Medicine in Houston, practicing both internal medicine and pediatrics. He received his post-graduate training in psychiatry at the Institute of Living in Hartford, Connecticut, and the University of Texas Medical Branch in Galveston. Dr. Winston founded Senior Adults Specialty Healthcare, P.A., in 1997. He also has a research division which is called Senior Adults Specialty Research. Dr. Winston and his staff are conducting clinical trials for groundbreaking new therapies for many disorders. SASR has more memory impairment research than anyone in central Texas. Call (512)407-8628 for the latest studies or visit the website at SASRaustin.com. For many years Dr. Winston has been interested in treating patients with mood disorders. He has utilized and recommended many treatment modalities as appropriate including psychotherapy, medications, and ECT. He is very excited to be on the cutting edge by treating depressive symptoms with magnetic therapy or dTMS (Deep Transcranial Magnetic Stimulation). This is the first treatment which is non-invasive, non-systemic and utilizes no medications. You can find more information at Texas TMS Center. Patients should be at least 20 years of age. Is skilled and seasoned at evaluating senior citizens for issues of competency, testamentary capacity, ability to stand trial, etc. Is experienced and interested in offering expert testimony for all aspects of legal matters involving the mental health of the aged. Has lectured and consulted both locally and nationally on issues of Geriatric Psychiatry. Dr. Brown is a native Texan and proud Fightin’ Texas Aggie, class of 1985, graduating from Texas A&M with honors in psychology. He he attended medical school on the U.S. Army Health Professions Scholarship Program, and graduated with his MD from the University of Texas Medical School at Houston in 1989. His internship and residency in general psychiatry were completed at the Dwight David Eisenhower Army Medical Center, Ft. Gordon GA, from 1989-1993. He completed his active duty tour with the U.S. Army at Bayne-Jones Army Community Hospital, Ft. Polk LA, where he served as the chief of mental health services for the hospital and installation from 1993-1997. In 1997, he joined Scott & White Healthcare in College Station TX where he conducted a very busy and rewarding general psychiatry practice, and served as the regional director of psychiatry and psychology for the organization. His affiliation with the Texas A&M University Health Science Center College of Medicine as an Assistant Professor in the Department of Psychiatry and Behavioral Sciences was equally satisfying, and he received many teaching awards from his students. He coauthored 2 book chapters with colleagues in Family Medicine during this time. He was a Texas Monthly “Super Doctor” from 2008-2011. He is a Fellow of the American Psychiatric Association, and is board certified in general psychiatry by the American Board of Psychiatry and Neurology. 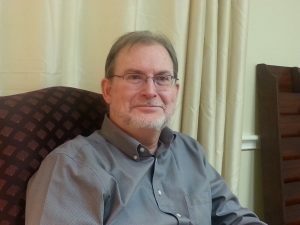 In 2015, Dr. Brown moved to Lake Charles to help care for his wife’s extended family. He joined Lake Area Psychiatry, and served on the physician staff at Christus St. Patrick Hospital as the medical director for the geropsychiatry unit there. Dr. Brown returned to Texas in 2018, and has joined Senior Adults Specialty Healthcare in Austin, Texas. His practice focuses on geriatric psychiatry in the setting of assisted living and skilled nursing facilities. He provides physician collaboration for the advanced practice nurses and physician assistants on the treatment team as well as direct patient care. Laura is a family nurse practitioner having received a Bachelor and Masters degree in nursing from the University of Texas at Austin. 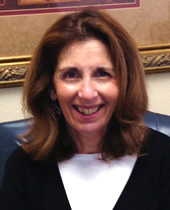 She has practiced psychiatric nursing for 30 years and specialized in Geriatric psychiatry for the last 14 years at Senior Adult Specialty Healthcare. She sees patients in the office, in nursing facilities, in assisted living and independent living facilities for seniors and in memory care units. Laura has a special interest in adults with developmental disabilities and also sees patients at Marbridge. 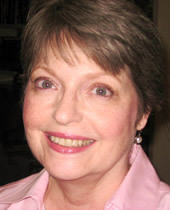 Cherie is a Clinical Nurse Specialist in Holistic Adult Health and a graduate of the University of Texas School of Nursing. She has worked with Senior Adults Specialty Healthcare and Research for approximately 10 years. Besides working with SASH she is on the faculty at the University of Texas nursing school and conducts research in areas of sleep, caregiving and depression in aging women. 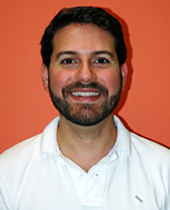 Eddie is a Clinical Nurse Specialist in Holistic Adult Health and has worked with Senior Adults Specialty Healthcare and Research since 2012. Eddie earned a Bachelor of Arts in Psychology from Rice University and a Master of Science in Nursing from The University of Texas at Austin School of Nursing. Eddie visits patients who reside at several nursing homes, assisted living and Alzheimer’s/memory care communities in the Austin area. 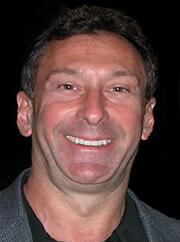 Doug has a Master of Social Work degree from the University of Kansas School of Social Work. He is licensed as an LCSW or Licensed Clinical Social Worker in the State of Texas. From 1976 to 1990 he worked with children, youth and families in the multi-service Methodist Home in Waco, Texas (children’s home and psychiatric hospital). From 1990 to 1996 he managed Community Hospice of Waco and directed social services and bereavement services for Family Hospice of Temple. From 1996 to 2010 he served the geriatric inpatient population, twelve of those years at St. David’s Pavilion (now Austin Lakes Hospital). He has been in private practice since 2010. 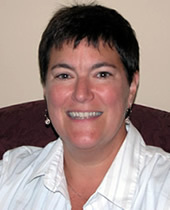 Sherry has for more than twenty years focused her practice exclusively on the needs of older adults and their families. 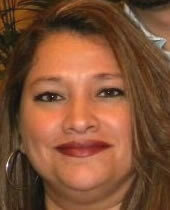 She specializes in the treatment of depression, anxiety and grief and loss issues. Martha brings with her inpatient psychiatry experience working with children, adolescents, and adults. She enjoys meeting new people and building lasting relationships, understanding that trust, respect, and communication are required to do so. She is armed with a background in architecture, always looking for innovative solutions. She is passionate about bridging evidence-based practice with evidence-based design and looks forward to the day her expertise enables her to do so. She graduated from Texas Tech University in 2007 with a BA in Public Relations and Architecture. She spent 2 years in Madison, WI leading UW students along their journey of spiritual growth. She even took her skills overseas and developed lasting relationships with people in Istanbul, Turkey. She graduated from The University of Texas at Austin in 2017 with a Masters in Nursing. She fiercely bleeds red and black to this day.